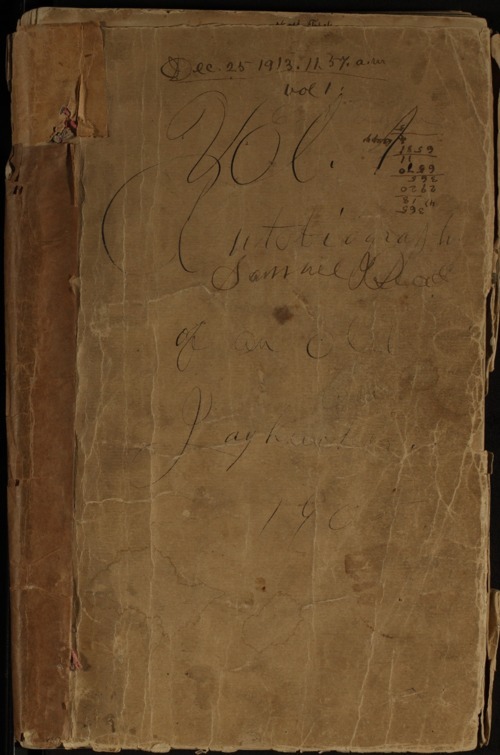 "Autobiography of an old Jayhawker" gives an early account of Samuel James Reader's childhood and family (1849-1856) written when Reader was in his sixties. This autobiography is of particular interest because the first volume of Reader's diary, which covered a similar time period, was destroyed by a fire. It also includes a number of illustrations drawn by Reader. It describes his life in Virginia and Illinois, before he came to Kansas. In the early pages, Reader writes about a cousin Sydney Rigdon who was a Mormon and lived in Nauvoo, Illinois.